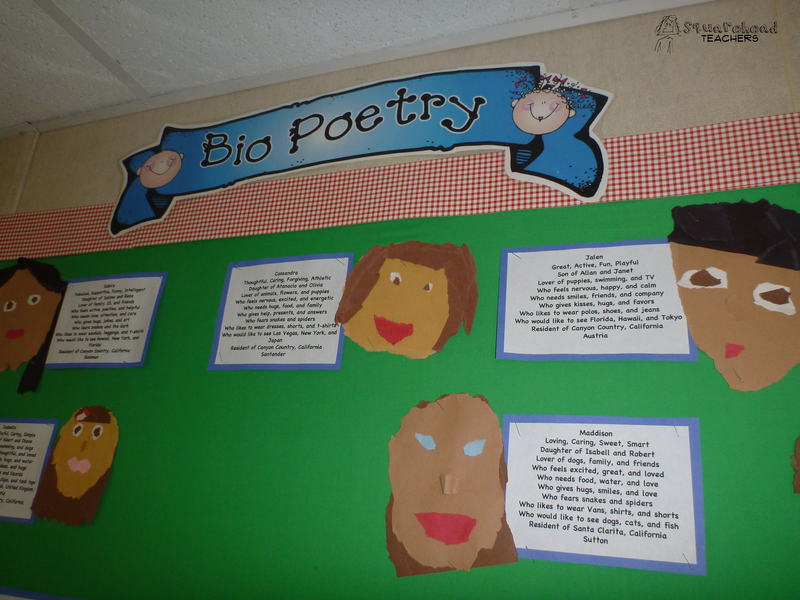 It’s always fun to share or display the bio poems. 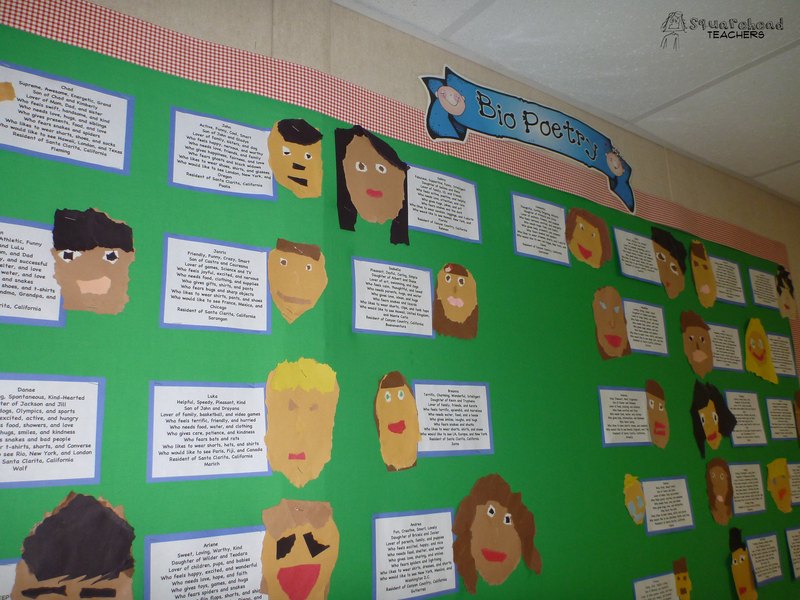 One teacher had her students tear pieces of construction paper to create artwork of their face to put up next to the student’s bio poem. You could easily adapt this project to describe historical figures, events, etc. by changing the formula. This entry was posted in Bulletin Boards/Walls, Poetry, Social Studies, Writing, Writing Prompts and tagged Education, Elementary School, Homeschool, Poetry, Social Studies, Teacher Resources, Teachers, Teaching, Writing, writing prompts by Squarehead Teachers. Bookmark the permalink.